Joe Poulin was just 17 when he started designing websites out of his dad’s Montreal basement for fun. Within weeks, the hobby turned into a moneymaker. His digital handiwork caught the eye of the owner of a sprawling beachfront mansion in Barbados. 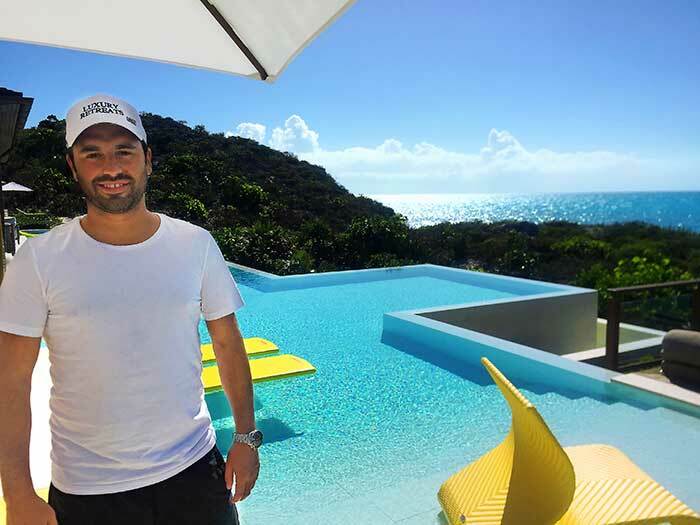 After stumbling upon a newsgroup post Poulin had published promoting his new venture, the man asked the young web designer to create an online rental platform for his six-bedroom, fully-staffed beachfront villa. Poulin talked it over with his dad and said yes. A $1,000, one-year contract was drawn up and, just like that, the kid was in business. It was 1999 and Poulin was officially an Internet entrepreneur. The Montreal teen’s first order of business: hop on a plane bound for the Caribbean island paradise to check out his client’s posh pad. He flew there alone, a secret he and his father kept from his mom. Minutes into building the website for the vacation rental, Poulin knew he was onto something big. His hunch proved correct. 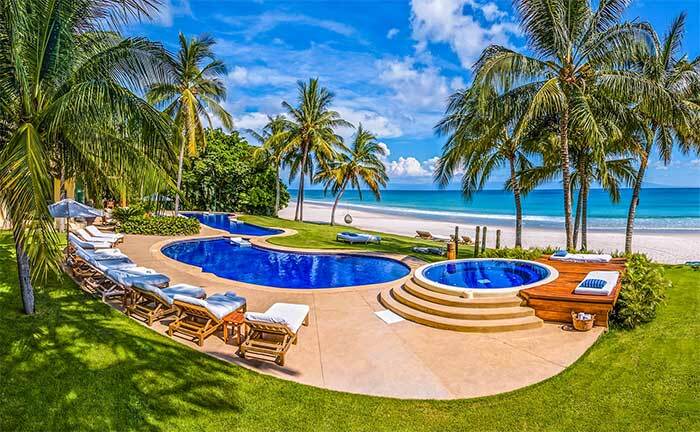 Poulin’s pioneering luxury villa rental company has grown up along with him, acquiring three competitors and raising a total of $16 million in venture capital in the process. Today, it features some 3,000-plus tony properties scattered across 95 locations across the world. Looking back, Poulin, now 34, is amazed it all worked out so smoothly. And it was. Within two years, he cleared $1 million in annual sales. At the time, he was a one-man operation and his startup was called Caribbean Way. Flush with profits, he later decided to go global, listing handpicked lavish vacation rentals far beyond the Caribbean Sea. With the expansion into the U.S., Latin America and Europe, he rebranded his startup and Luxury Retreats was born. While Poulin says Luxury Retreats has long been profitable, he declined to share specific revenue numbers. 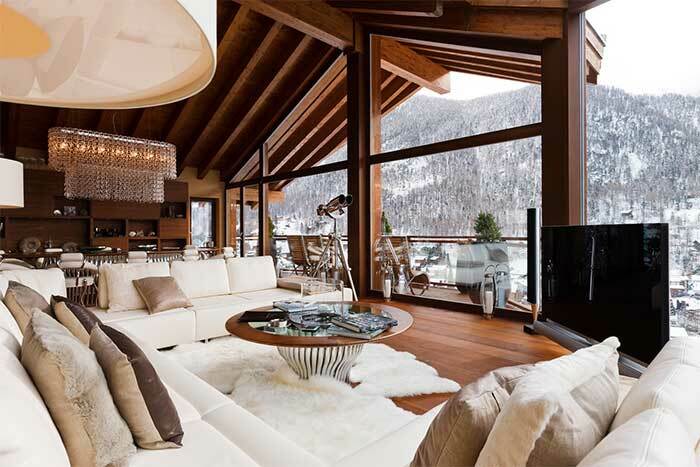 The company’s website, however, states that Luxury Retreats pulls in $125 million in bookings annually. Poulin also did not disclose how much homeowners who rent their homes through the service are charged. They pay a commission based on what Luxury Retreats deems to be the dollar value of the booking. The standards are high. All accommodations must measure up to their online photos, no Photoshop smoke and mirrors allowed. As a result, Poulin says around 90 percent of houses are turned away. The same goes for homeowners who entrust their properties to Luxury Retreats, Poulin says. To protect them from renting “to someone crazy,” the company vets each potential renter as closely as it does each of its properties. Hold your wallet. Yes, Poulin just casually referred to a rental that costs $3,000 a night, a figure that is actually on the cheaper side of the spectrum. Prices for Luxury Retreat rentals, which depend on size, location and swank, range from $550 per night (for a two-bedroom modish villa on Mexico’s Riviera Maya) to $78,000 per night (for a 17-bedroom, 17-bathroom palatial estate on Richard Branson’s Necker Island). For $1,500 to $2,000 a night -- the “sweet spot” price-wise for many of Poulin’s customers, he says -- you can score a well-appointed four- to five-bedroom home, likely with a pool and maid service. Houses in this range include an onyx-floored luxurious villa nestled in the Croatia’s Dubrovnik Riviera and a spacious ski chalet in a sleepy Colorado mountain village. For $2,600 a night, you can rent Frank Sinatra’s former high desert mansion. It was at this mid-century modern Twin Palms Estate in Palm Springs that, as rumor has it, Ol’ Blue Eyes wooed Marilyn Monroe and Ava Gardner. The more you pay, the fancier the digs and the more lavish the on-site services and amenities. Sometimes, this includes around-the-clock chefs, bartenders and butlers. Other times, it consists of a 24-hour concierge that can do anything from planning a killer party, to arranging a private tour of the Vatican, to booking a dinner in the shadow of the statue of David in Florence, Italy. The sky’s pretty much the limit -- it all depends on how over-the-top you want your dream vacation to be and how much you’re willing to splurge to get it. Surprisingly, Poulin says the majority of his customers aren’t millionaires, billionaires and A-list celebrities. He claims he mainly serves people who are “professionals, with good careers.” They’re certainly not struggling, but they’re also “not ultra-wealthy by any means,” he says. That isn’t to say that celebrities don’t routinely use his service. While Poulin is hesitant to name names, we did get him to reveal one of his more famous clients: he’s a professional with a good career, he’s ultra-wealthy and his name is Russell Wilson. The 27-year-old Seattle Seahawks quarterback recently kicked back at a Luxury Retreats beachfront villa in Mexico. The oceanfront 12-bedroom came complete with “an army of staff” and gourmet eats prepared fresh by a team of five-star executive chefs. “[Russell] called me and said, ‘This is the sickest thing I’ve ever done!’” For Poulin, it was a career touchdown.